Here's a couple of pictures of my hair before the hair cut. 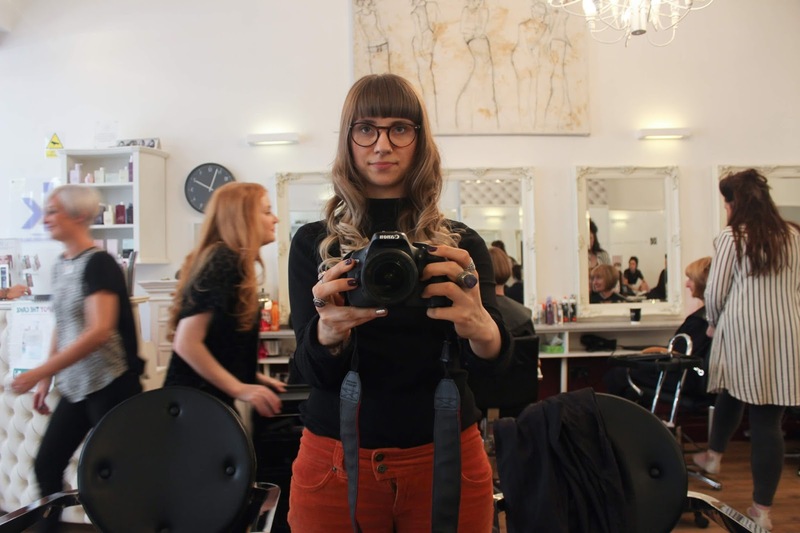 I've been toying with the idea of getting a full fringe again and to dip dye my hair blonde/grey for a couple of months. 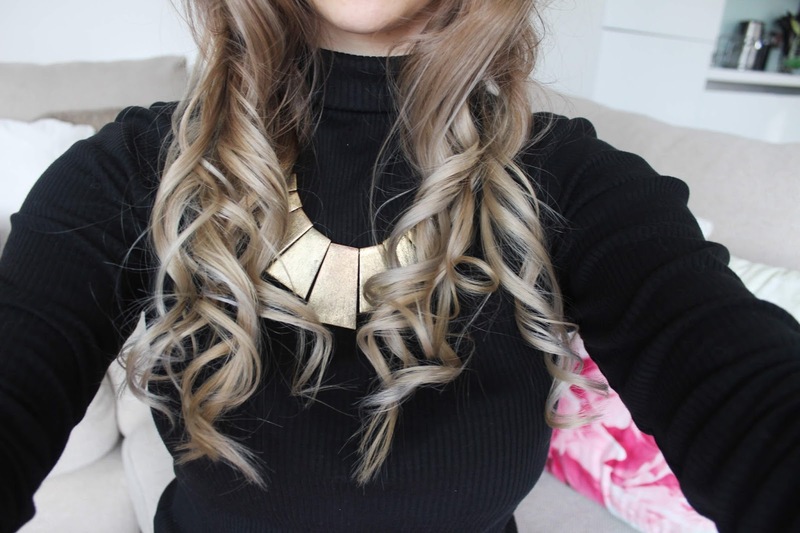 I've been reading about a treatment called Olaplex which prevents breakage when dying hair. It's the most revolutionary hair product in about a 100 years! 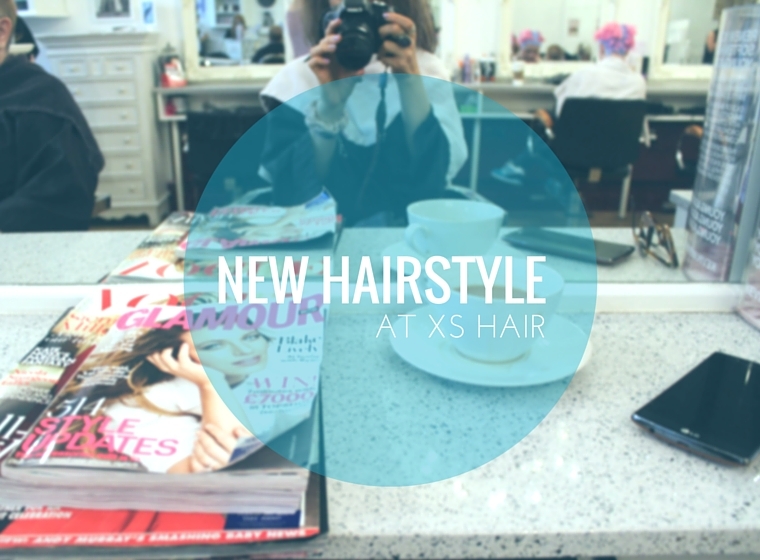 XS hair in Leeds city centre, where I've been going for Cryotherapy treatments offer this treatment so I just had to give it a try! 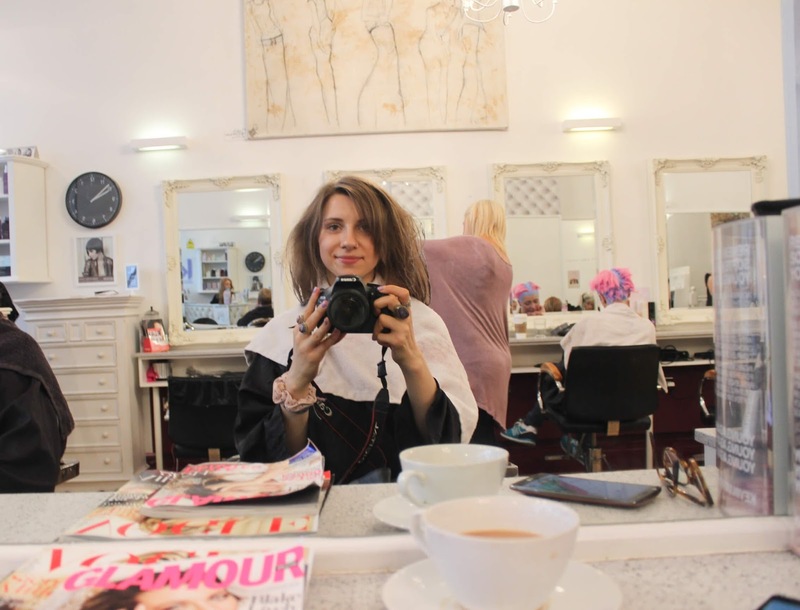 I told the hairdresser (Linda) that I was a nervous about getting my hair done and she was very nice about it, t ook her time to explain exactly what she was going to be doing and why, and made me feel relaxed. 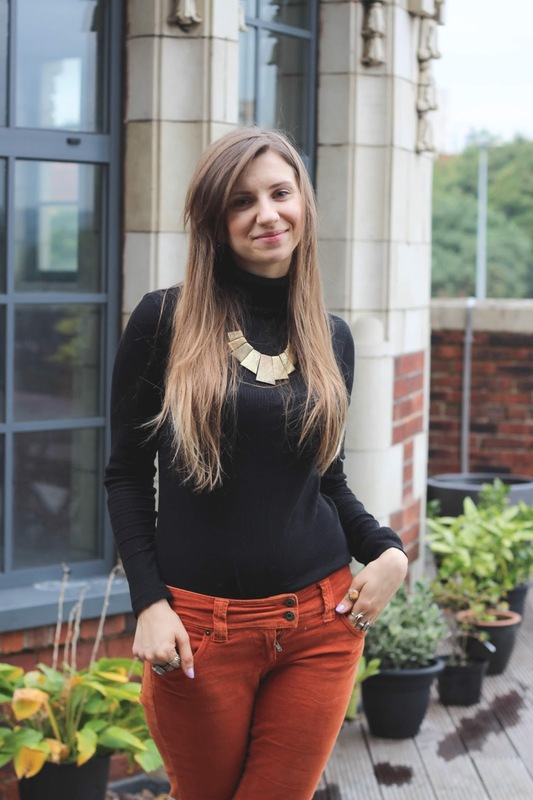 Whilst my hair was developing I had a Shellac Manicure, which I'm quite fond of because it lasts so long. 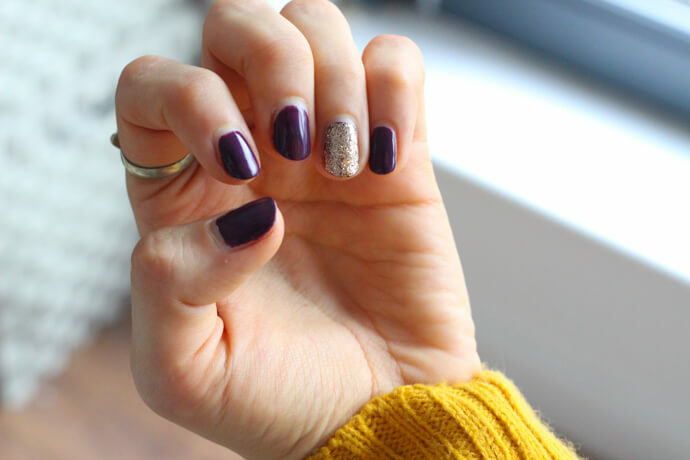 I went for a gorgeous dark burgundy colour with a little added sparkle. 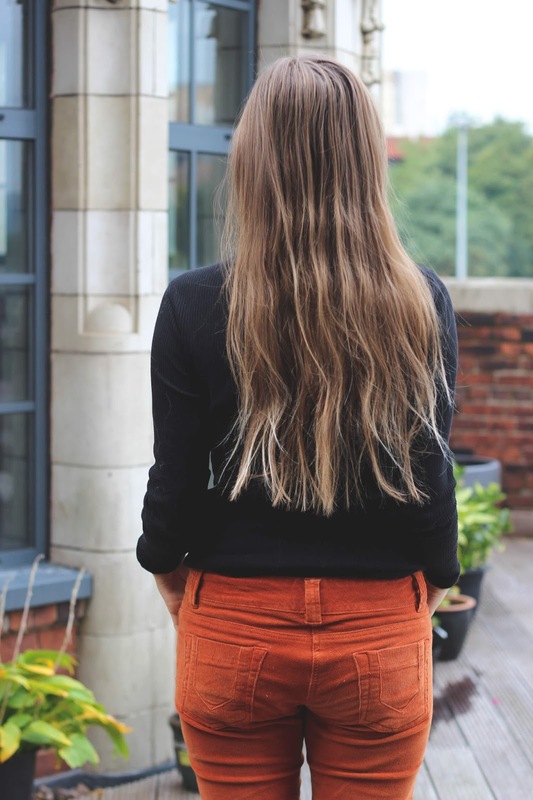 The blonde in my hair didn't turn out as light as I'd expected, but that's partly my fault because I told the hairdresser that it takes really easy to hair dye; which it obviously doesn't anymore! Despite this, I really love my new hair style! Here's what it looks like straight. The quality of my hair is very, very good to say that I had bleach and lots of toner on it. 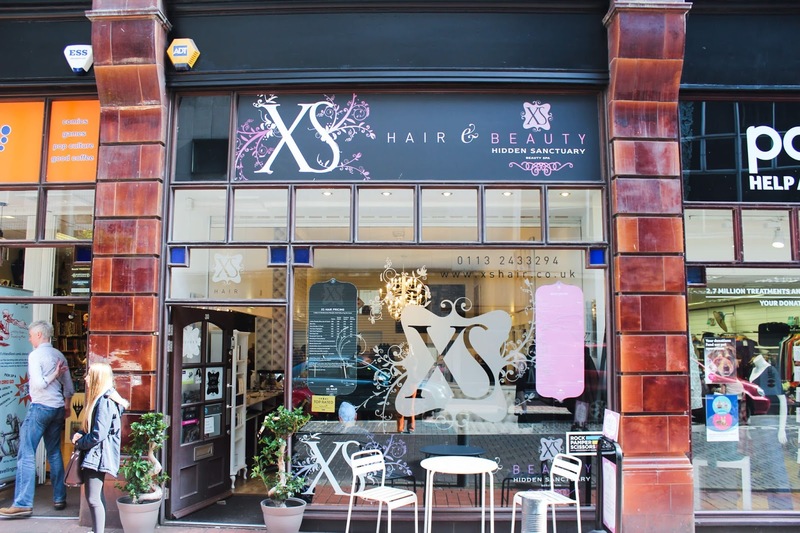 XS hair offers the Olaplex treatment with hair dye or as a stand alone treatment so if you're worried about the condition of your hair I would very highly recommend that you get yourself booked in for it. You can buy both the shampoo and the conditioner for £10 a bottle in the XS hair Leeds salon (which is actually cheaper than on the Neal & Wolf website!). It smells absolutely amazing, and is made using natural ingredients. 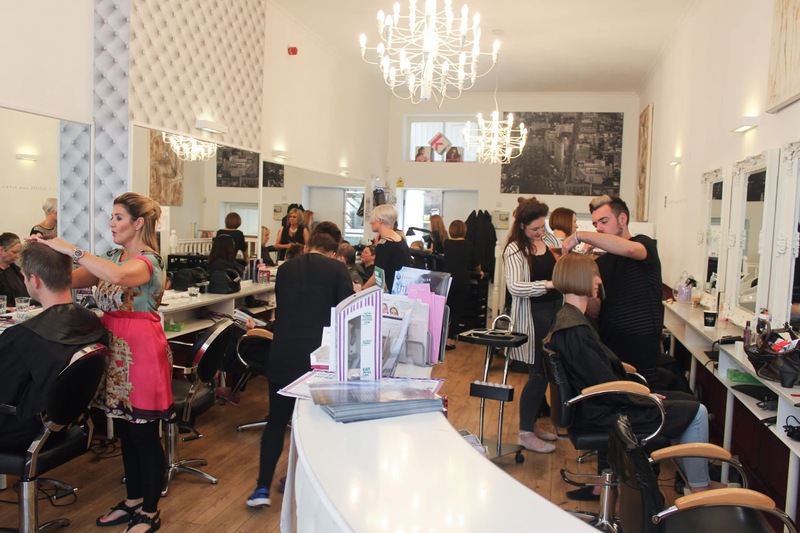 XS hair currently has a fantastic offer to all new clients, you can get your hair restyled and blow dried for just £25! 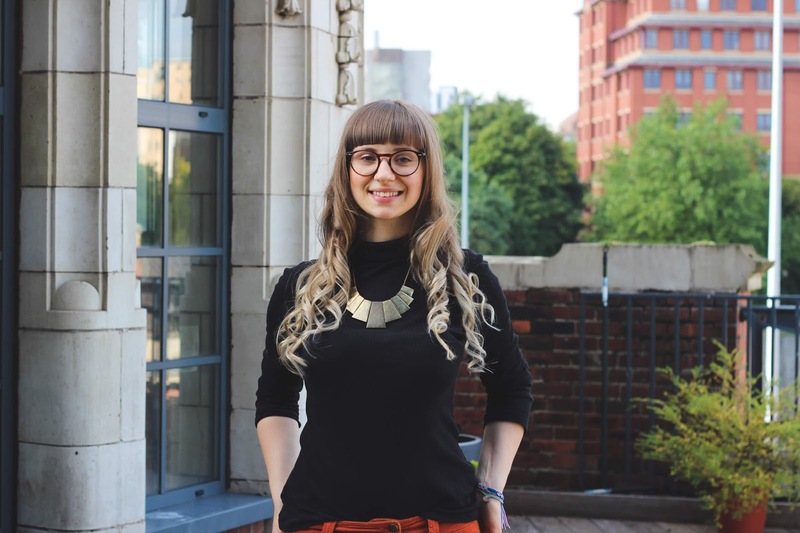 I also have to mention that I had THE best head massage I've ever had when I had my hair washed so make sure you ask for it when getting your hair washed!